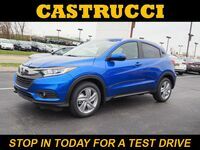 The new 2017 Honda HR-V in Dayton, OH is here at Matt Castrucci Honda! The 2017 generation of the HR-V features increased versatility for drivers and more advanced technology than before. This new SUV is made with a sporty and muscular design. With the option of eight different colors and a wide variety of trim levels and packages, the HR-V is customizable to each individual’s needs. With increases in design elements and performance features, this is a vehicle that stands out from the crowd. Alongside the HR-V’s exterior design upgrades, it was built to deliver increased performance for this generation. It has a practicality that has become a standard in the SUV segment. The 2017 Honda HR-V has increased cargo space and innovative features that help to optimize storage space and organization within the cabin so you can tackle any task. 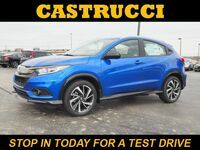 In addition to its convenience, the HR-V comes with the available All-Wheel Drive system, allowing you to have increased traction and handling, no matter the road conditions. The Honda HR-V will come with standard Daytime Running Lights, a Multi-Angle Rearview Camera, and Vehicle Stability Assist. These features combine with the passive safety features of the HR-V to make it a secure and reliable vehicle. The 2017 Honda HR-V has a 1.8-liter 4-cylinder engine under its hood. This is paired with either a 6-speed manual transmission, or a continuously variable automatic transmission, is capable of reaching 141 horsepower. The new HR-V lets you motor past the pump with its efficiency ratings. The combination of its exterior design and engine lets it reach a 33/25 city/highway mpg rating*. 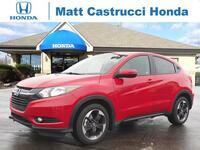 The Honda HR-V is stylish, functional, and built for the adventurer in you. Looking for more information? 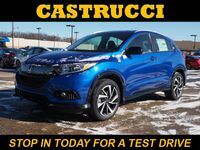 Contact us at Matt Castrucci Honda to find out more about the new 2017 Honda HR-V. Call us at (855) 250-8986, contact us online, or stop by in person! We’ll be glad to show you all this SUV can do! 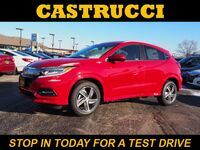 Stop by today and take a new HR-V for a test drive! 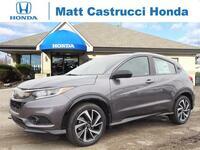 *25 city/33 highway/28 combined mpg rating for 6-speed manual transmission models. 28 city/34 highway/ 31 combined mpg rating for 2WD CVT Automatic models. 27 city/31 highway/29 combined mpg rating for AWD CVT Automatic models. Based on 2017 EPA mileage ratings. Use for comparison purposes only. Your mileage will vary depending on how you drive and maintain your vehicle, driving conditions and other factors.